How important and meaningful is it to be actively creative? 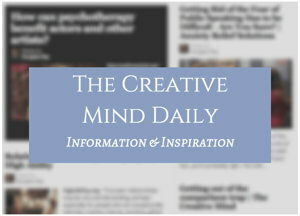 How does creativity relate to our core identity? Julia McCutchen is an author, intuitive mentor and the founder and creative director of the International Association of Conscious & Creative Writers (IACCW). Her site profile notes she “teaches a holistic approach to all kinds of writing which combines the inner journey of self-realization (conscious) with the practical steps required for authentic self-expression (creativity). As Elizabeth Gilbert explains in Big Magic: Creative Living Beyond Fear, “The earliest evidence of recognizable human art is forty thousand years old. So we placed a high value on creativity long before we learned how to cultivate our food! As visionary women on the path of self-discovery, we can make a conscious choice to reclaim our natural aptitude for creativity which draws on the feminine qualities of intuition and flow. We can embrace creativity as a way of being that leads us to discover our unique gifts and share them with the world. In the process, we experience a profound transformation that sets us free from the limitations of our everyday self where our fears and anxieties lie. We also become empowered to realize our full potential as we create and live an inspired life that is an authentic reflection of our true self, the eternal part of us that lies beyond our conditioned patterns of thought and behaviour. Our true self is naturally creative, and with a creative mindset, anything is possible. Yet we’re rarely taught how to cultivate creativity as part of the skill set required for life. In fact the opposite is often the case, and many of us have had astonishingly negative experiences in our formative years. Sophie had a secret vision of herself as a writer. She felt drawn to sharing the lessons she’d learned and the stories she often imagined telling. Yet, she hadn’t written anything other than reports relating to her role as a counsellor since she was a young girl, and had only ever told her closest girl friend about her unfulfilled dream. Sophie wasn’t entirely sure why she felt unable to turn her vision into reality; she simply knew that each time she thought about creative writing her impulse shut down like she’d been hit by a truck. Years passed, and it wasn’t until the death of her mother that Sophie realized fully how short life actually is. Not long afterwards, her dear friend finally persuaded her to explore her creative impulse with professional support. It didn’t take long for the mentoring process to reveal the source of Sohie’s creative block. She unexpectedly remembered an extremely painful moment from childhood when a teacher had criticized an essay she’d enjoyed writing in front of the whole class. The teacher proclaimed that Sophie ‘lacked creative flair’ for writing, and in an instant, crushed her creative dreams. The shame of that experience had lodged itself so deeply in Sophie’s heart and mind that she had unconsciously lived that ‘reality’ ever since. The shock of this revelation was a huge moment of awakening for Sophie and proved to be a major turning point in her life. With guidance and support she began the process of releasing the negative conditioning she’d received and reconnecting with her natural creativity. 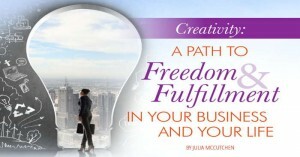 She soon felt enormous benefit from applying a creative approach to all areas of her life. The more she connected with her true self, the more she experienced inspiration on a daily basis. She was especially delighted by the flood of ideas relating to how she could serve the people she supported at work in more effective and fulfilling ways. Eventually, she felt ready to break through her fears and turn her gaze towards the blank page. With small and steady steps, she finally found herself doing what she thought she never would – writing short stories and loving it! Sophie is now in the process of gathering her ideas for launching a blog having reclaimed her right to be the fully conscious and creative woman she’s always been. The site declares: “Our mission is to open the way for you to know your true self, discover your authentic voice, and express yourself consciously and creatively – on the page and in the world. 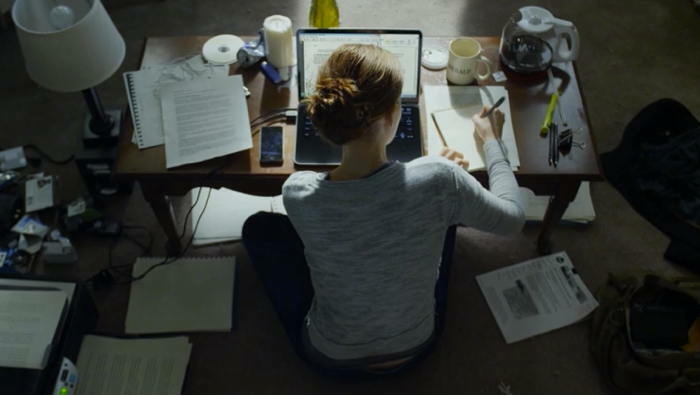 Photo near top: Reporter Zoe Barnes (played by Kate Mara) in the Netflix series House of Cards – from my page Programs for Authors and Writer Entrepreneurs.